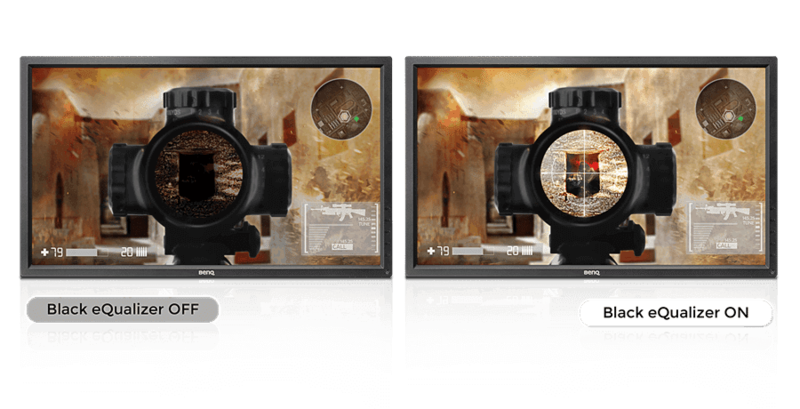 Black eQualizer is a proprietary BenQ Zowie technology which is used in their gaming monitors. It aims to brighten dark areas of the game world without overexposing the brighter areas, so that gamers can more easily spot enemies in darker areas of the map without having to turn their brightness up so that they essentially get blinded by ingame light sources. An often stumbled upon problem with many multiplayer games is that there tend to be maps with darker spots, making it harder to spot enemies who might be (for example) camping in those spots. 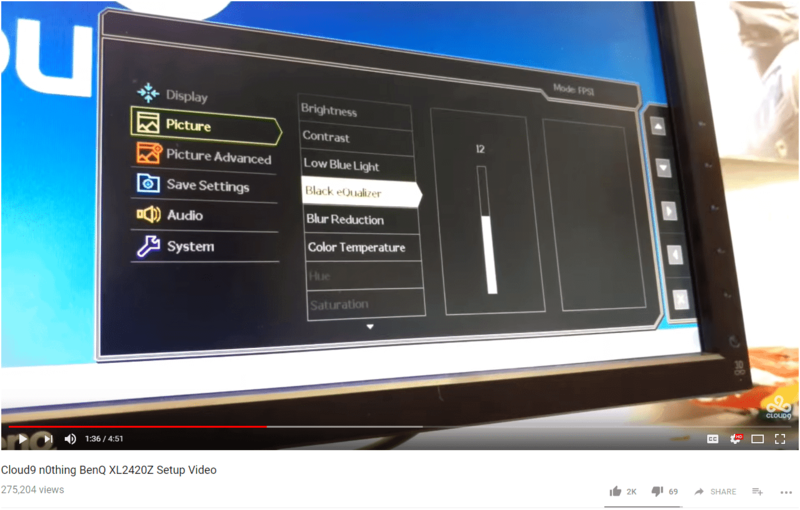 Unless you turn up the brightness of the game (or monitor) significantly this can cause you to suffer unnecessary deaths, whilst turning up the brightness can lead to visibility issues in very bright areas of the game world. Black eQualizer is a color engine technology which only alters the gamma of black and grey shades of color, so that ‘normal’ (i.e. not obscured by shadows or darkness) areas of the map are not affected. 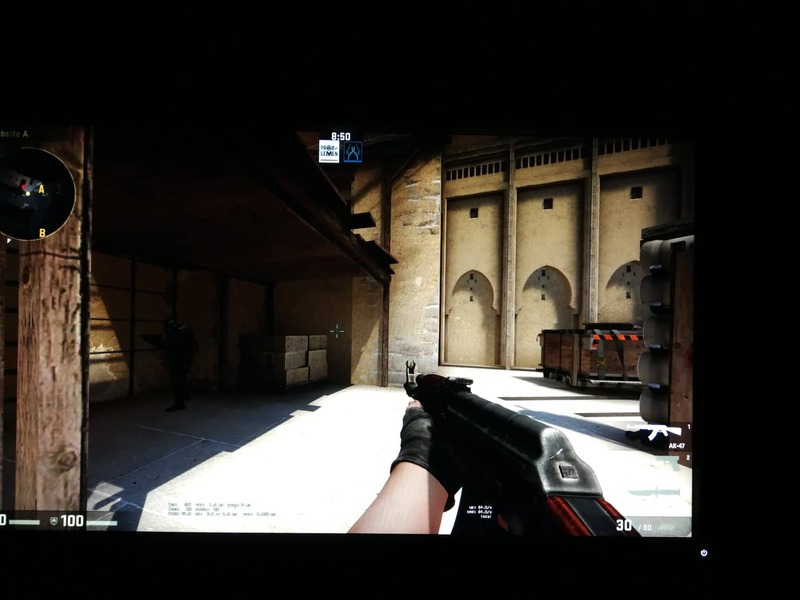 The feature works pretty well, especially for games with lots of darker areas, such as CSGO. 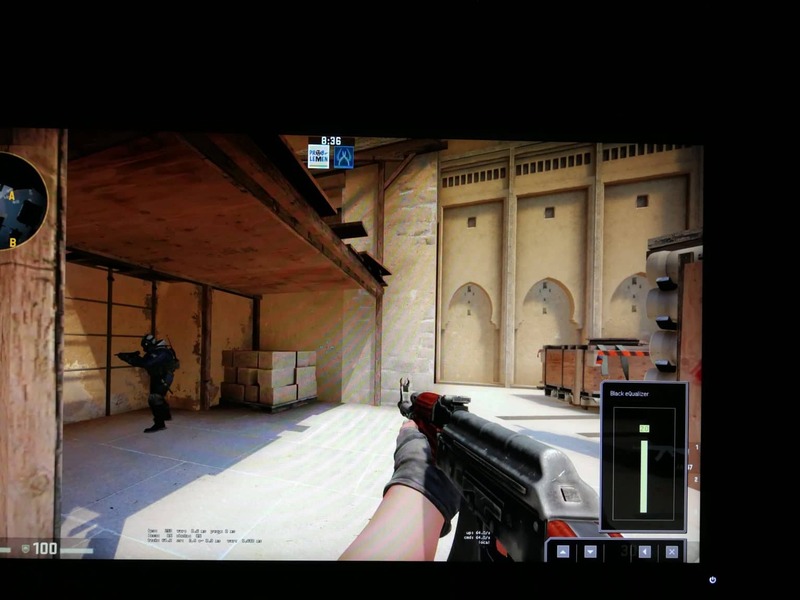 As shown in the image taken from a (slightly older, but still relevant when it comes to Black eQualizer) on the right, CSGO pros do use the Black eQualizer function, making it more than a marketing gimmick. If you are interested in the full video where n0thing talks about his monitor setup you can click here. A downside of Black eQualizer is that it does slightly reduce image quality, certainly when you turn it up pretty high. As such it’s a good idea to experiment with the setting yourself in order to come up with what you feel is the best compromise. The only difference is that on the image above Black eQualizer is turned off entirely, whilst on the lower image Black eQualizer is turned to its highest setting. Needless to say it can be seen how this feature can be of use to spot enemies in darker areas quicker and more efficiently. You can click the images to enlarge. These images were taken by making a photograph of the screen, as the Black eQualizer function does not affect the game itself (everything is done on the monitor) so making screenshots would not show any difference.